When Juliette’s Interiors asked me to create a perfect room inspired by their modern gin trolley, Juniper, I knew I envisioned a boudoir environment. A perfectly relaxing and romantic bedroom space where the lady of the house could relax as she was getting ready for going out in the evening like in days of yore. In terms of period, I love Juliette’s Interiors classical take on traditional styles. I narrowed down my period to Art Deco because of the iconic mental image of a flapper dressed to the nines with a drink in her hand. 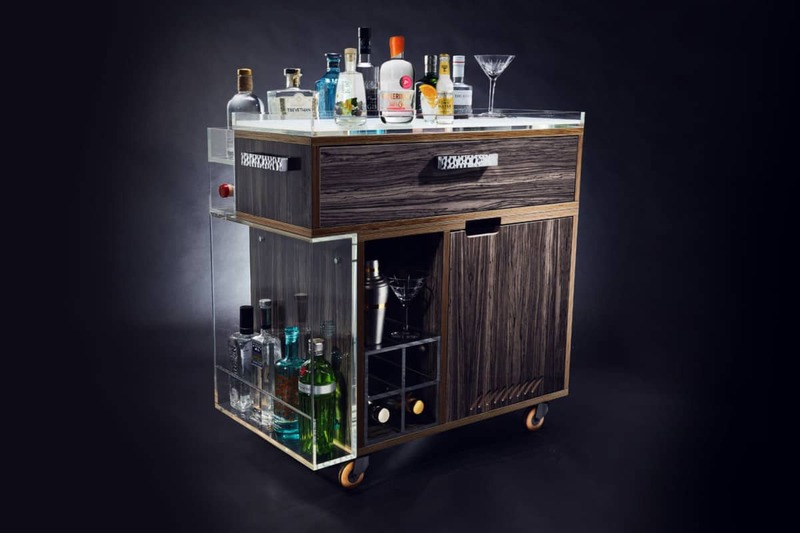 Check out this beautiful modern Gin Trolley called Juniper from Juliette’s Interiors. The beautiful Juniper gin trolley. Art Deco is also associated with exoticism as well. In this case, gin for the British will always be gin & tonic, the drink of choice of the British Raj designed to keep those pesky mosquitoes at bay. Or, at least that was the excuse! Art Deco appeared in France first. My idea of a romantic bedroom is one where you can picture the glamorous lady getting ready for an evening out with a luxurious toilette. She picks her clothes and jewellery, does her makeup and has a leisurely drink. We are not talking throwing on a quick pair jeans to meet friends for pub grub! 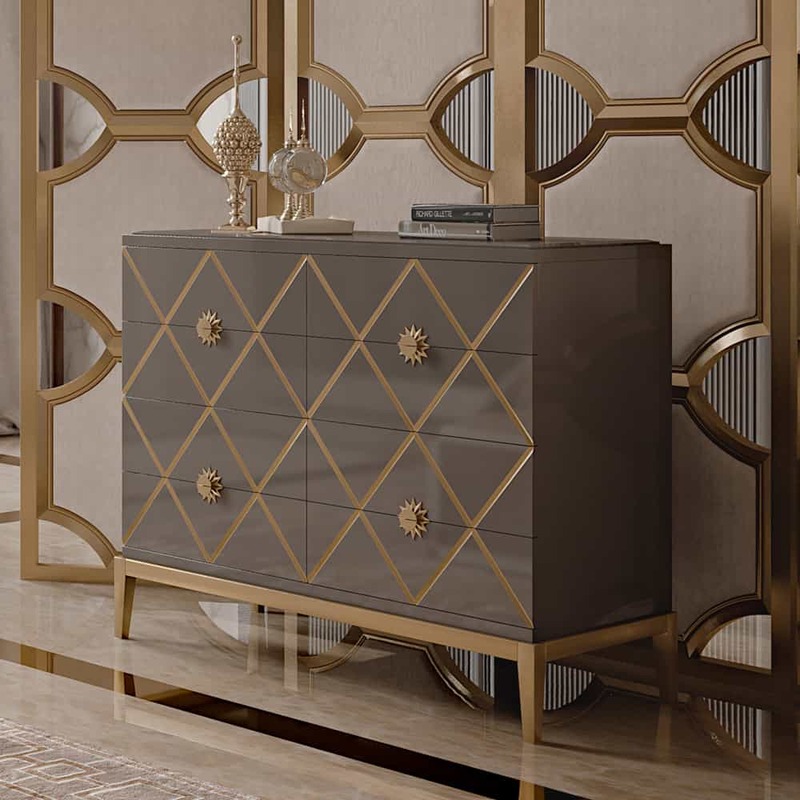 Art Deco is identified with luxury, glamour and craftsmanship – all qualities associated with the furniture from Juliette’s interiors. In terms of sheer romance, nothing beats a four poster bed in my opinion. This bedroom has lots of storage because this lady has lots of nice clothes! And, dislikes clutter. 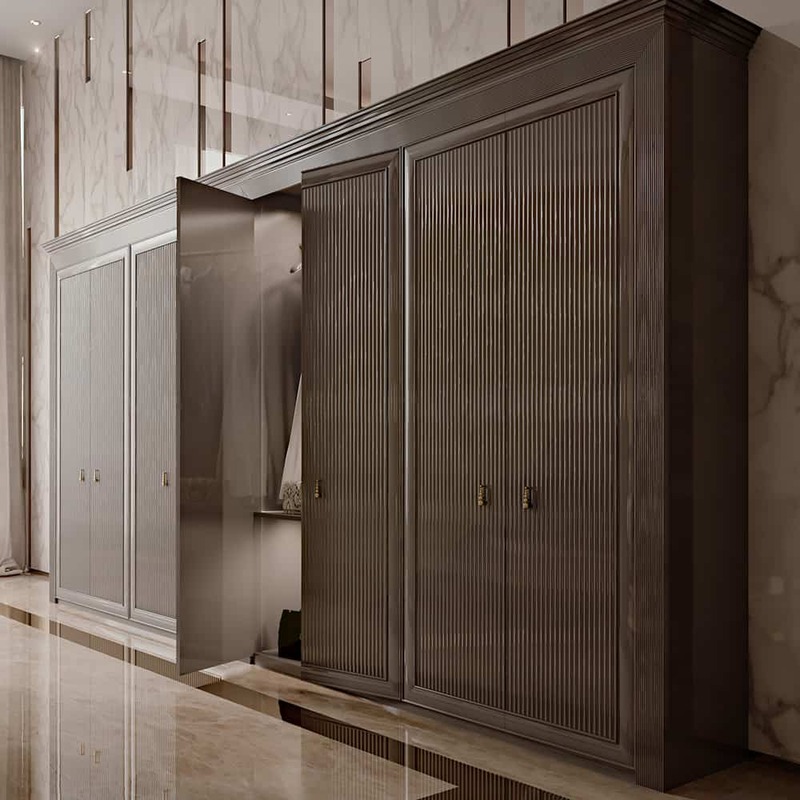 An Art Deco inspired wardrobe. This beautiful screen provides privacy as well as keeping the bedroom tidy. 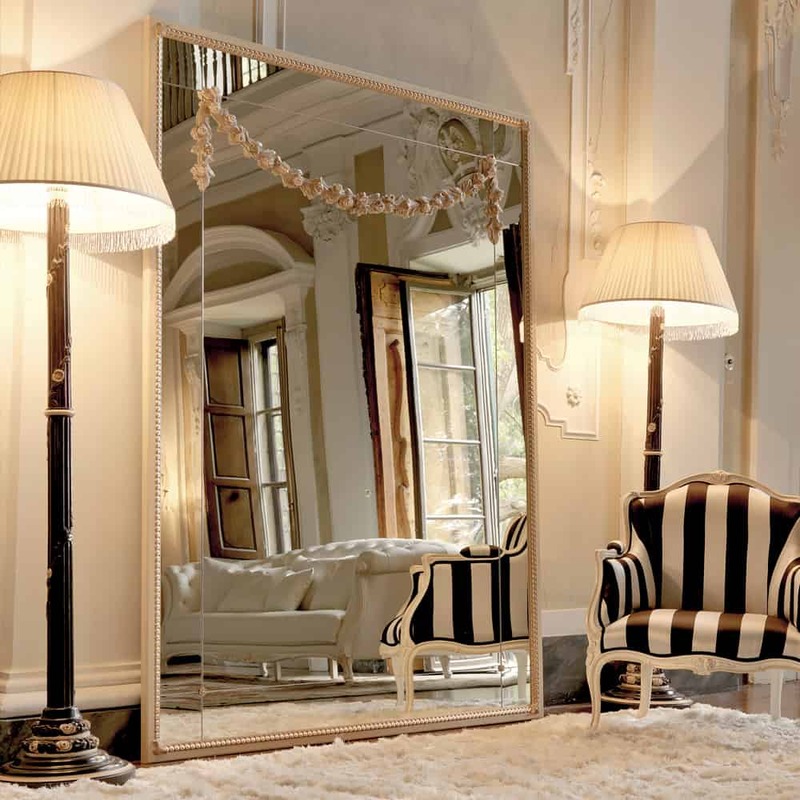 The mirror is a nod to one of the influences of Art Deco, they decorative style of Louis Philippe. It’s also oversized and decidedly glamorous. 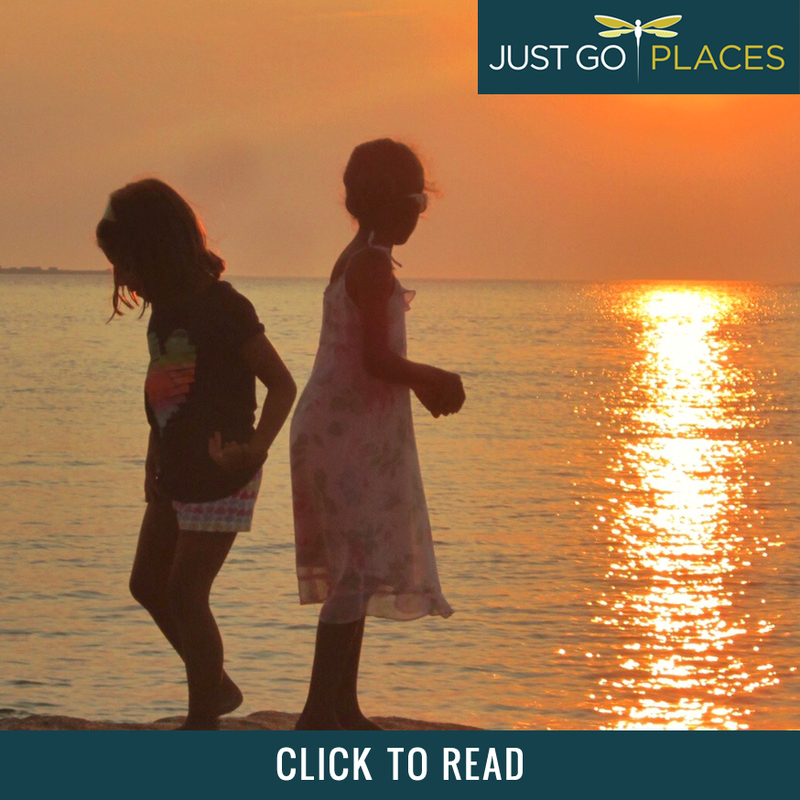 After all, you need somewhere to check yourself out. In addition to getting dressed, this bedroom has space where you can collect your thoughts in an attractive sitting area. Of course, I would envision collecting my thoughts with a gin drink in hand! A chair for a relaxing drink. Where does one put ones drink but on one of these gorgeous tables? 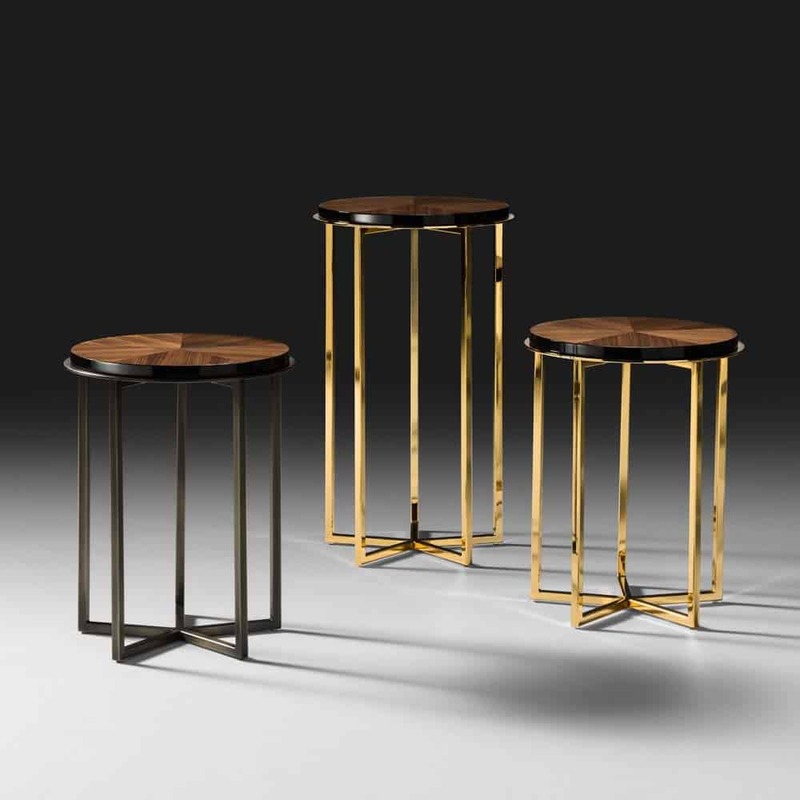 These tables are perfect to scatter around the room as night tables or occasional tables. I can also envision wanting to lounge with a drink as well. 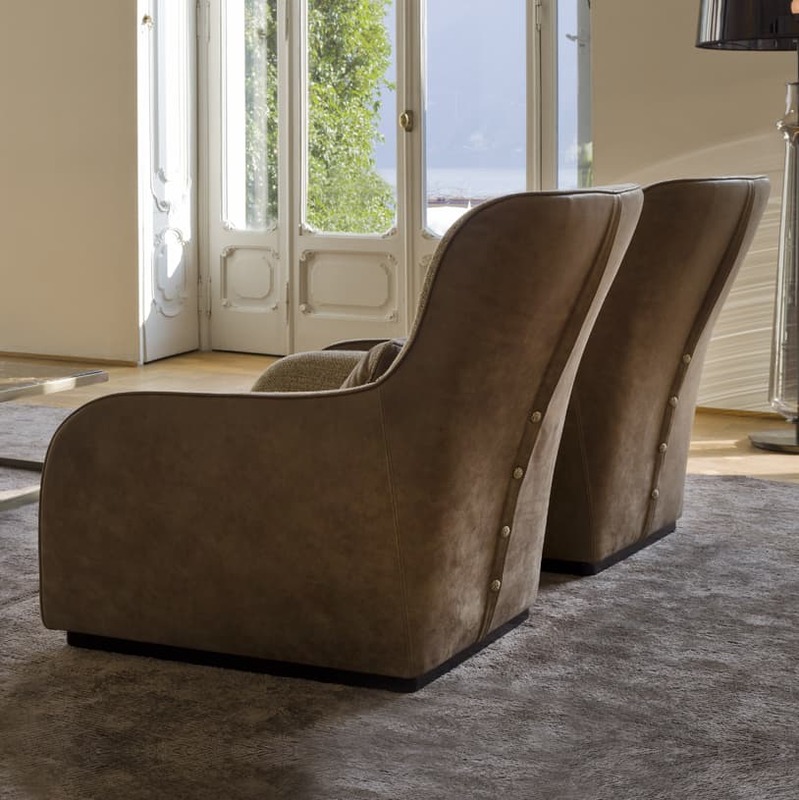 I love chaise longues in a bedroom context by a window. 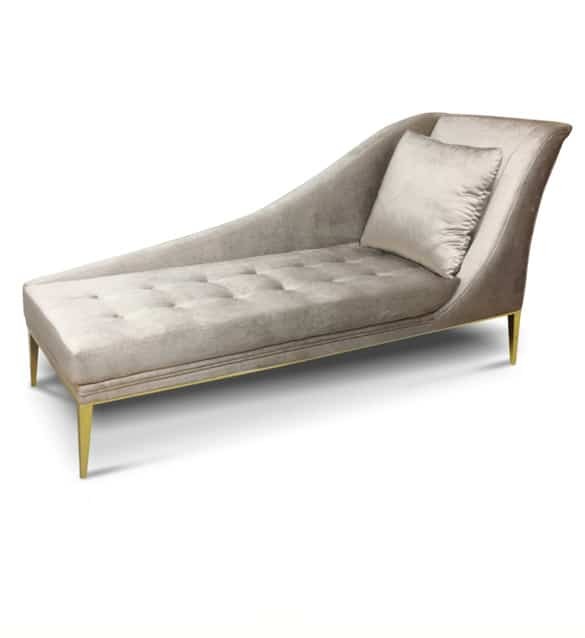 Old school Hollywood glamour lent by this chaise longue. 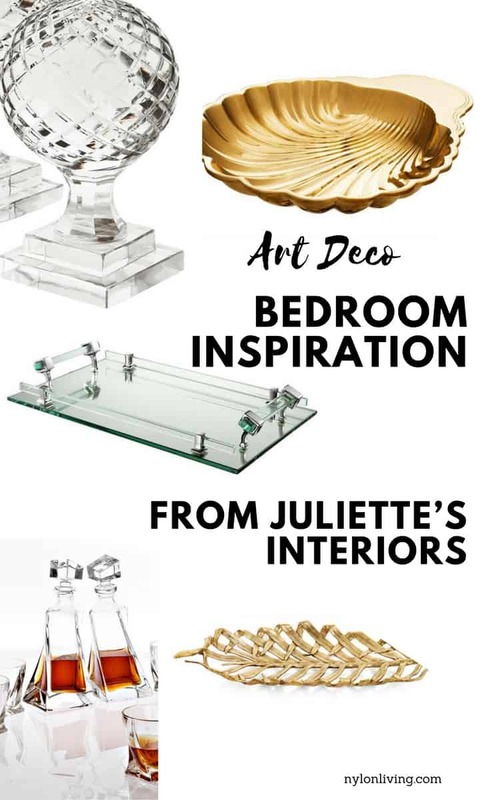 Juliette’s Interiors also provides glamorous accessories such as lamps and barware for that cohesive luxurious look. Art Deco works pretty well in the modern context as well with the trend towards eclectic design influences taken from different places. Art Deco itself was not a well-defined style but its mixture of influences could sometimes be contradictory. In this bedroom set, a cohesive look is achieved with the rich European influences providing a romantic, luxurious look. In a contemporary room, you don’t want everything too matchy-matchy, yet you do want to achieve a harmonious look. 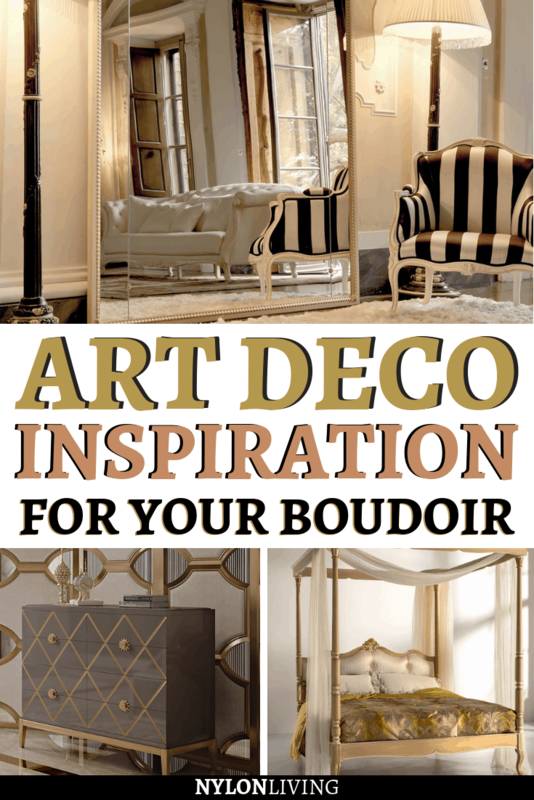 Like the look of this art deco boudoir? Spread the Word! Pin this to your Pinterest Boards for future reference!